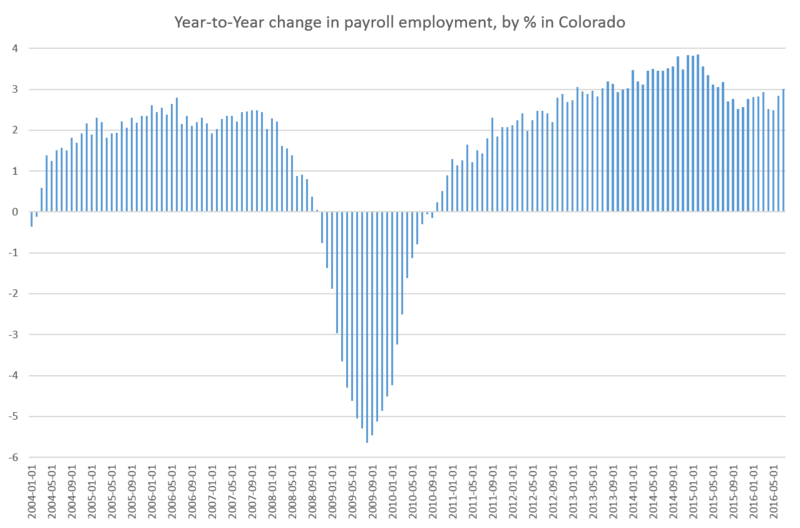 For now, there are few dark clouds on the horizon for payroll employment totals in Colorado. While employment growth has softened somewhat since 2014, it remains well above zero. 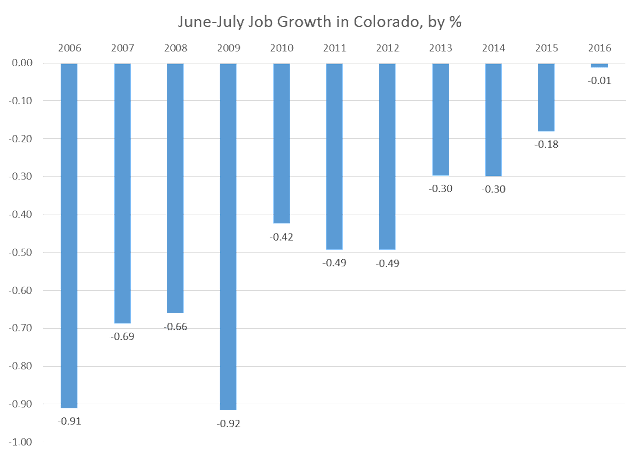 According to state-level employment data, released on August 22, year-over-year employment growth in Colorado increased 3 percent, which was the largest increase since July of last year when growth reached 3.2 percent. There were a total of 2.62 million jobs in Colorado in July, compared to 2.55 million jobs one year earlier. That equates to 76,000 more jobs, year-over-year. This should not be equated for new employed persons, however, as this measure of employment counts only jobs and not people. Thus, a single person with two jobs would show up as two jobs by this measure, and two job holders should not be assumed. The Household Survey, which counts employed persons, will be considered in a separate post. 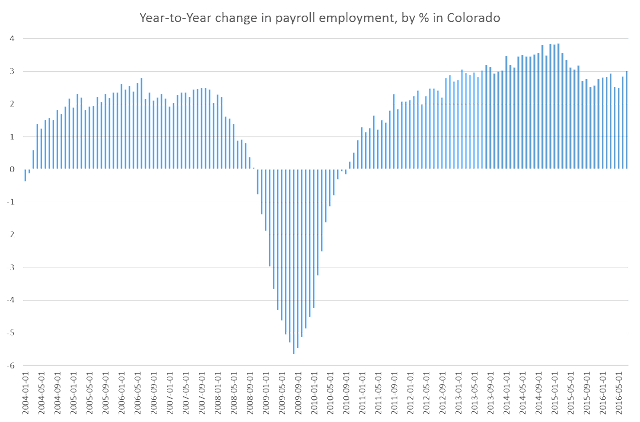 Nevertheless, job growth, strictly speaking, continues in positive territory. So, by both these measures, we find that job growth in July was solidly positive.